Saturday’s playoff slate will finish up in Cincinnati on Saturday night between two teams who know each other very well. Let’s get to it. From the days of the Steel Curtain to their two most recent Super Bowls, the Pittsburgh Steelers have traditionally been a team and franchise that has defined itself by a physical, grind-it-out, defense-first style. And that was fun while it lasted, because Ben Roethlisberger spent this season torching the NFL through the air. 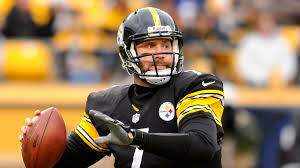 Roethlisberger has been among the NFL’s best Quarterbacks this season, finishing with almost 4,000 passing yards despite only appearing in 12 games. Even though Pittsburgh had to weather four games with either Michael Vick or Landry Jones under center, the Steelers offense finished 5th in pass offense DVOA, 3rd in rush offense DVOA, and 3rd in overall offensive DVOA. It’s hard to think of another team who could theoretically finish with such high numbers despite playing a quarter of the season with backup quarterbacks. When Roethlisberger has been on the field, the Steelers have been the NFL’s best offense. Roethlisberger’s success has been especially impressive in the absence of stud running back Le’Veon Bell. Bell has missed all but 6 games this season thanks to a suspension and a devastating knee injury. Backup DeAngelo Williams has filled in marvelously in his absence (4.5 yards/attempt, 11 TDs) and Pittsburgh’s offense has hardly missed a beat. 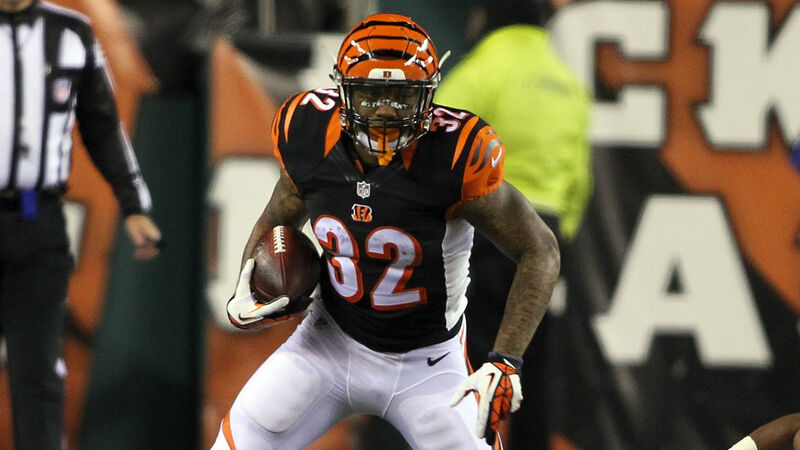 The Bengals’ defense may be somewhat overrated given its reputation, but it’s still a solid squad of players. They ranked 10th in overall defensive DVOA, 10th in pass defense DVOA and 8th in rush offense DVOA. The Steelers’ offense is a better overall unit, but injuries may have opened up a path for the Bengals to clamp down. DeAngelo Williams’ health is Pittsburgh’s biggest concern going into this game. If third-string Fitzgerald Toussaint is all Cincinnati have to worry about coming out of the backfield, life becomes much easier for them. If Toussaint is treated like a weakness or non-factor, defensive coordinator Paul Guenther could decide to provide less support in the rush defense in an effort to minimize the damage inflicted by Pittsburgh’s scary passing attack. The scary thing is that it may not matter. Profootballfocus.com’s player evaluations rank Ben Roethlisberger and Wide Receiver Antonio Brown as the NFL’s best Quarterback and best Wide Receiver of this season, respectively. The Steelers’ pass offense is ready to ask a lot of questions for which the Bengals may not have answers. After all of the ways I just expounded on the greatness of Pittsburgh’s offense, it’s surprising to discover and write that Cincinnati actually led the NFL in offensive DVOA this season. That ranking includes that they finished 1st (1st!!!!!!) in pass offense DVOA despite missing the much-improved Andy Dalton for the last three games of the season. And now the bad news. Cincinnati’s offense has been far from a pillar of consistency, and much of that can be attributed to the difference between Dalton and backup A.J. 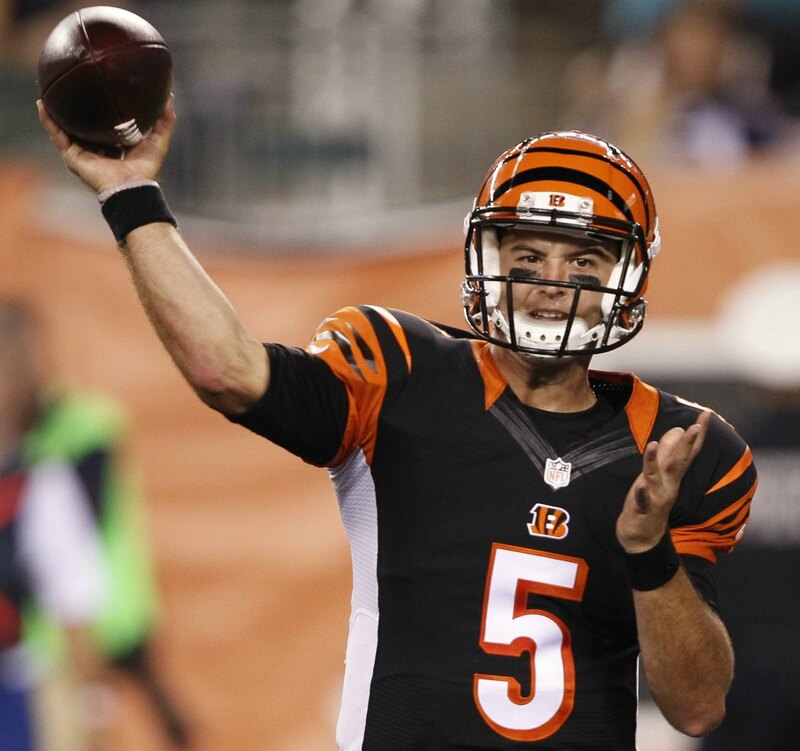 McCarron who will be getting his first career playoff start this Sunday. The Bengals ranked 27th out of 32 teams in offensive variance, a statistic that footballoutsiders.com uses to measure team consistency. McCarron has filled in about as well as a backup could be expected to, completing 66.4% of his passes for 7.2 yards/attempt and an impressive 6 Touchdowns against just 2 Interceptions. But two of McCarron’s three starts have come against poor defenses in San Francisco and Baltimore and he struggled in the other two games where he received extensive work against the Broncos and, you guessed it, the Steelers. The Bengals would be smart to not put the entire offensive game plan on McCarron’s arm. Thankfully, they have a backfield and offensive line that can permit that. Cincinnati’s offensive line was the NFL’s best at run blocking this year, creating openings for the very good running back duo of Giovani Bernard and Jeremy Hill all season. Unfortunately for Cincinnati, a heavy dose of Bernard and Williams may play directly into Pittsburgh’s hand. The Steelers’ defense has struggled against the pass this year, ranking only 15th in pass offense DVOA (The bad teams are gone. Being league-average at something no longer means that you’re average at something. ), but their linebackers have been excellent in run support all year, leading the way to finishing 5th in rush defense DVOA. The fact that the Steelers will look to take Bernard and Hill out of the game is not just reflective of defensive coordinator Keith Butler game planning to his team’s strengths. It’s also him recognizing the relative limitations of his team (a decent but unimpressive finish of 11th in defensive DVOA) and deciding that if the Bengals beat the Steelers, the inexperienced backup starting his first career playoff game is going to have to be the one to do it. We shy away from hot takes and other sports platitudes on this site, but one of them will manifest itself on Saturday evening: expect Butler and the Steelers to load up the box and dare McCarron to beat them. Roethlisberger, Brown, and the rest of Pittsburgh’s passing arsenal torches the Cincinnati secondary early. In an effort to keep the game from getting out of hand, Cincinnati drops extra defenders into the secondary, leading to surprising success on the ground from Toussaint to spell the passing game. The Steelers’ defense contains Bernard and Hill enough to force McCarron to make tough throws that he isn’t ready or equipped to make. A few garbage time possessions from Cincinnati make the scoreline look a lot closer than the game actually was. The Bengals’ offensive line puts forth a Herculean effort, opening up big lanes for Bernard and Hill all afternoon. The success of the running game, combined with the Bengals’ defense shutting down Fitzgerald Toussaint entirely, gives the Bengals a massive edge in time of possession. Control of the game clock keeps Roethlisberger off the field and allows McCarron to be effective with quick, simple reads. The Bengals’ defense holds the Steelers to 20 points and the offense does just enough to squeak out a narrow victory to break Marvin Lewis’ infamous losing streak in playoff games. I have to say that I feel very differently about this game than I did when I sat down to write this preview. My initial thought was “Oh, well Ben Roethlisberger against A.J. McCarron; this will be easy.” The Steelers having such a massive advantage at the sport’s most important position is definitely hard to get around, but upon further examination, there are still a lot of ways that the Bengals could win this game. But, ultimately, I and many others are overthinking this. If the Steelers hadn’t hit a couple of somewhat discouraging roadblocks in the last two weeks, most would be picking the Steelers going away. The virtues of peaking at the right time and going into the Playoffs with momentum are frequently championed, but any actual analysis of that theory concludes that the run-up to the playoffs is essentially incidental to whatever success you may have once you’re in. 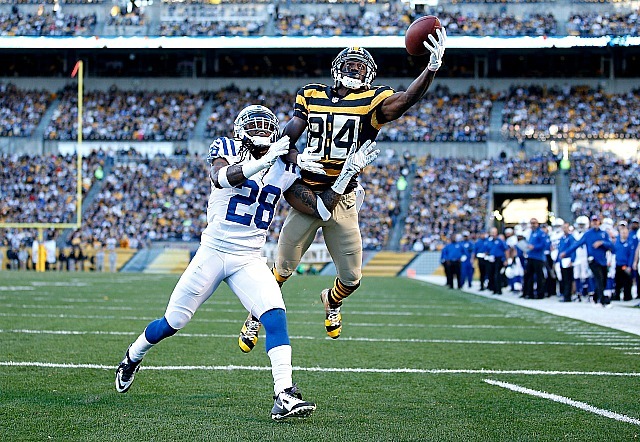 Even without Bell and Williams, the Steelers can score – a LOT – on anybody. Cincinnati won’t keep up. Pittsburgh (-3) wins and covers to complete a Saturday of road wins in the NFL Playoffs.